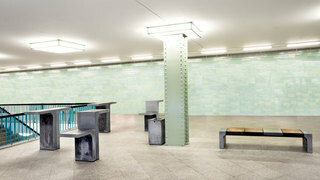 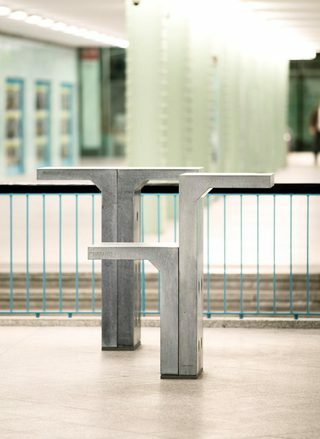 Design for a bench and varied-height tables in concrete and wood for the Food Court at Berlin Alexanderplatz U-Bahn Station. 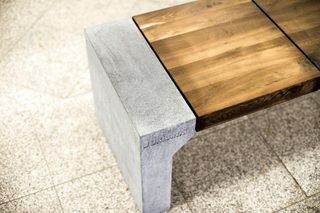 Concrete, Fumed Yellow Locust/False Acacia. 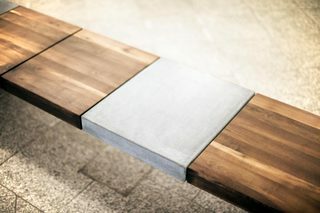 The timber is extremely hard and durable - the concrete too. 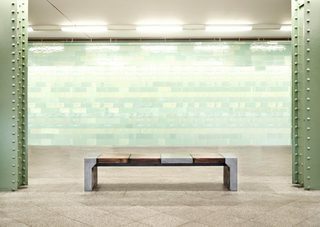 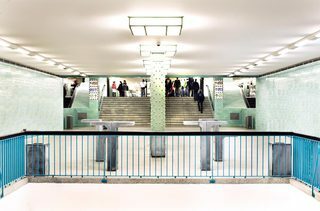 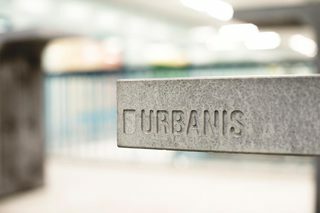 In cooperation with betonWare and BVG, Berlin.